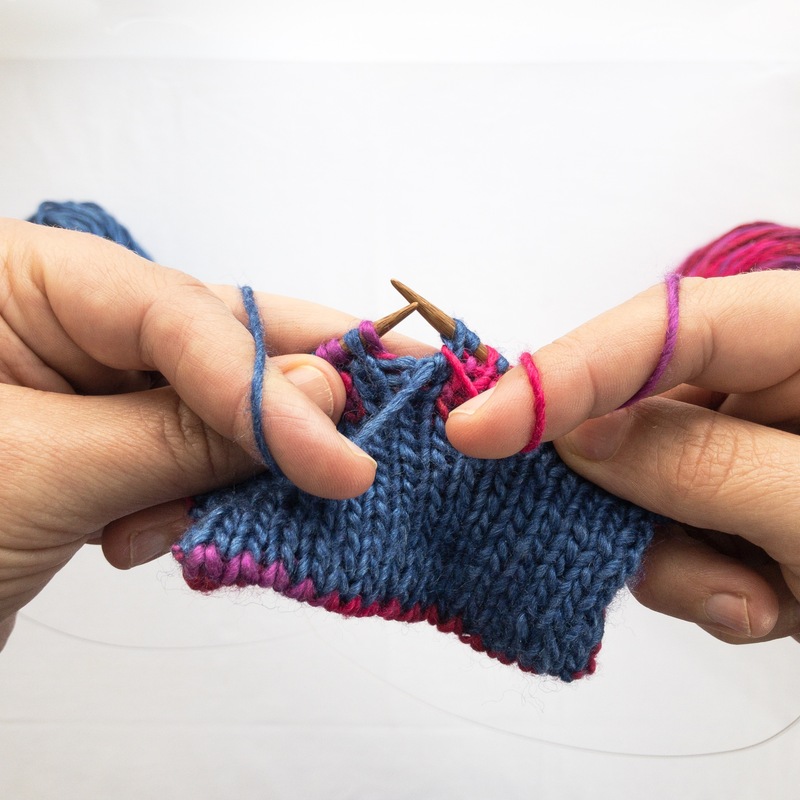 How to work a knit stitch when double knitting. This will result in a knit stitch on both sides of the fabric, with MC (blue) facing and CC (pink) on the. 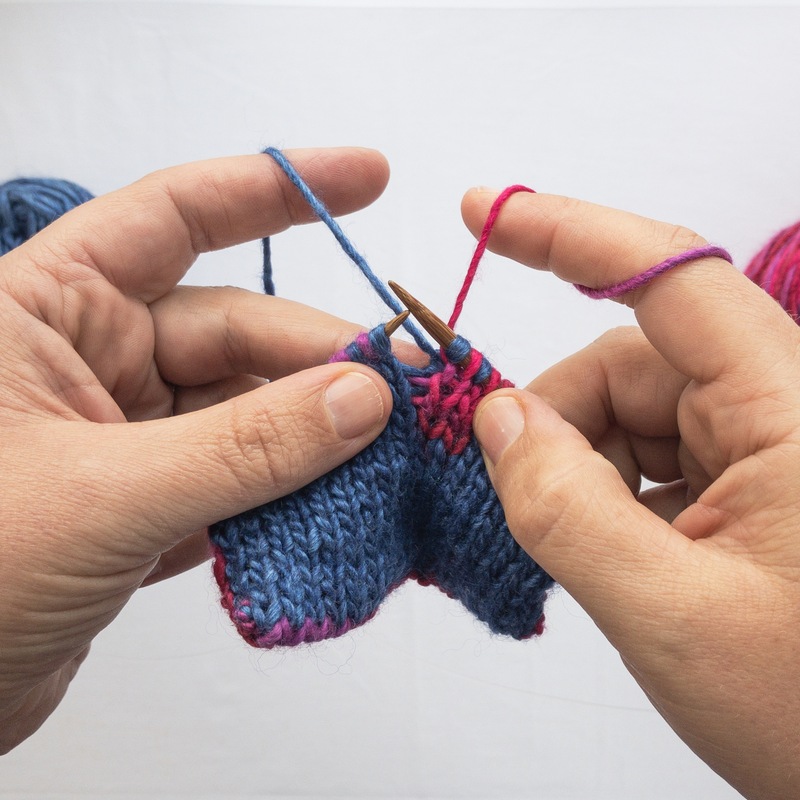 Note: Each Double Knit stitch consists of two stitches on the needle, one on the back and one on the front of the fabric. When reading a chart, both these stitches are represented by a single square, shaded in the colour of the front facing stitch. 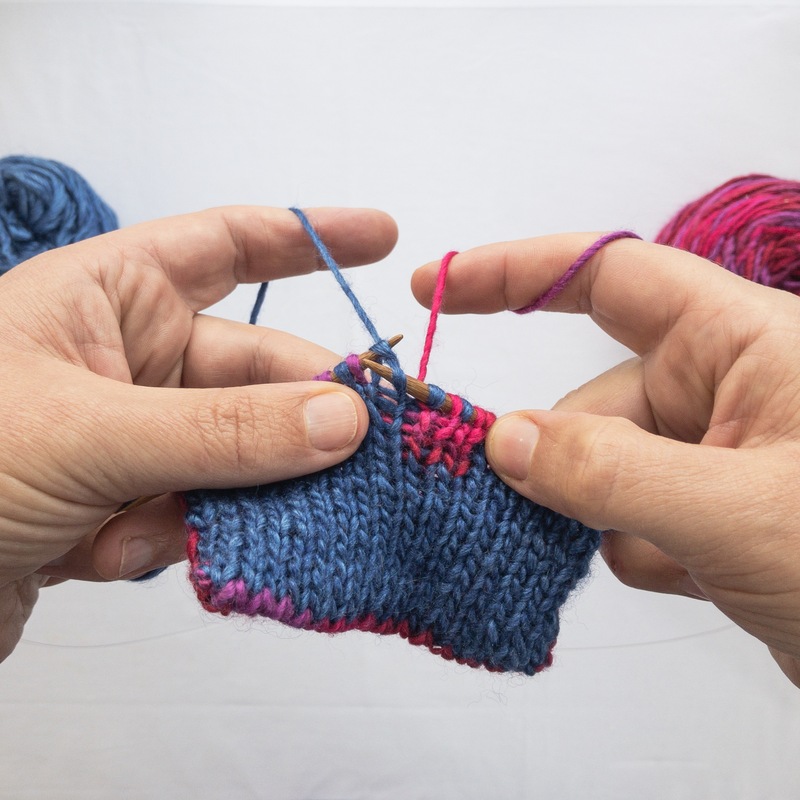 Bring both yarns to the back of the work, between the needles. Using MC (blue), knit 1 stitch. 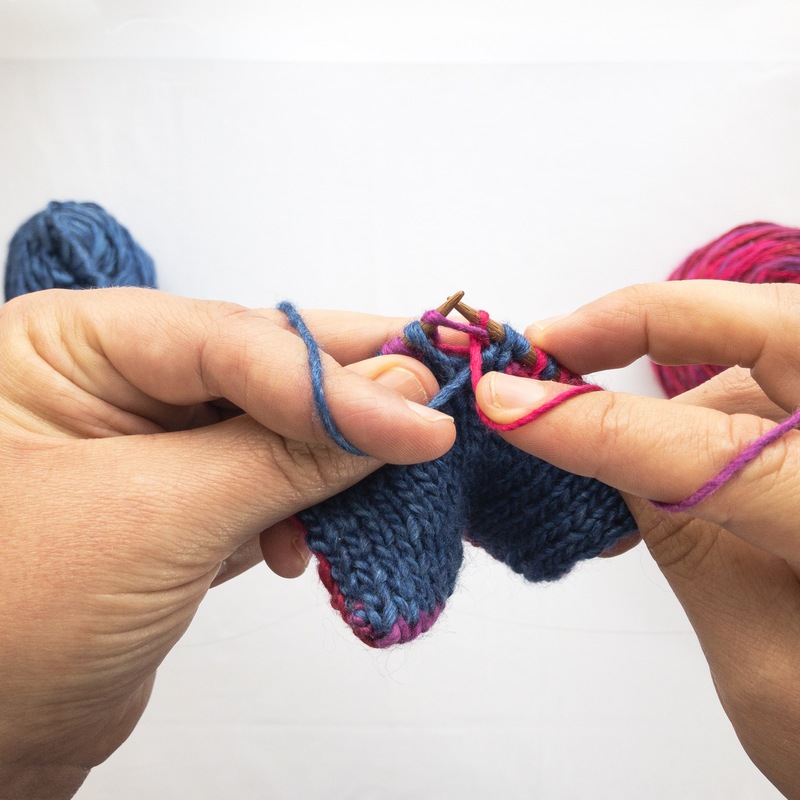 Bring both yarns to the front, between the needles. Using CC (pink), purl 1 stitch.